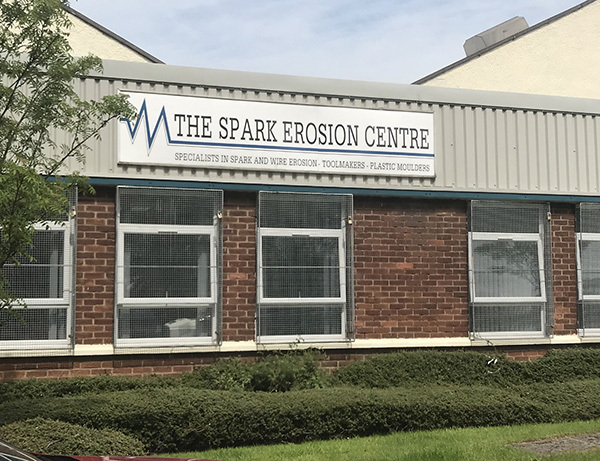 Located on the outskirts of Glasgow near Hamilton, The Spark Erosion Centre is a subcontract manufacturer that, as the name suggests specialises in EDM machining. To be a dedicated specialist generally requires two things: staff expertise and the latest technology. 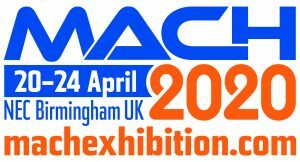 Luckily for the Scottish company, it has both in abundance and is recognised as Fanuc UK’s largest customer of EDM machine tool technology. The company has been in business for over 30 years and has employed Fanuc machine tools almost from day one. 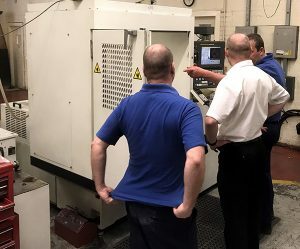 Commenting upon this relationship, Bill Bright, managing director at The Spark Erosion Centre, says: “We bought our first Fanuc machine back in 1984 and have stuck with them ever since. This is because we find the machines to be very accurate and reliable products that we push to the limit on a daily basis. 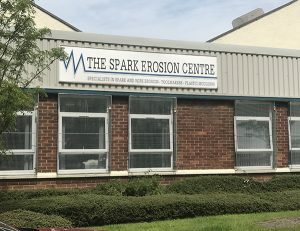 Not just a one-trick-pony, The Spark Erosion Centre is a precision machining company that undertakes tool making, injection moulding, and tool and jig design and manufacture, as well as spark and wire erosion for the offshore, automotive, aerospace, electronics, academic and tool-making industries. This diversity is a critical factor for success considering the industrial landscape in Scotland “The oil and gas industry is a key sector in Scotland but there is still a lot of automotive and tool-making work going on,” says Bright. “A lot of the local work is overspill from the offshore work in Aberdeen, and in recent years most engineering companies felt the impact of the oil and gas downturn. Some went under, while others had to fight for whatever they could. An example of this expertise can be noted on an oil and gas industry cylinder that was turned by a customer of The Spark Erosion Centre. The turned cylinder is intended to be an offshore collet and the customer approached The Spark Erosion Centre to split the cylinder via wire EDM processes to create a collet assembly. 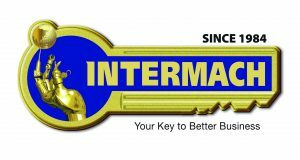 It is expertise and capability of this nature that has made the ISO:9001 company such as success. 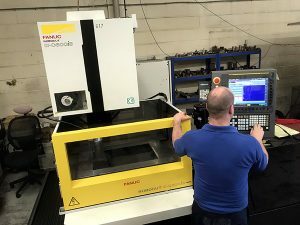 A major advocate of Fanuc technology, the company has once again invested in the machines with the recent arrival of a RoboCut C600 iB wire erosion machine. “This machine is right on the sweet spot for us; we have both smaller and larger machines and, as a new machine, this gives us the X and Y-axis capability we wanted,” says Bright. Sitting alongside a previous generation Fanuc RoboCut C600 A-series machine, the new C600 B-series has a multitude of new features that are not integrated into previous generation models. Ricardo Performance Products has secured certification to the latest ‘Issue D’ revision of AS9100 (BS EN 9100), the single common quality management standard for the aerospace industry. 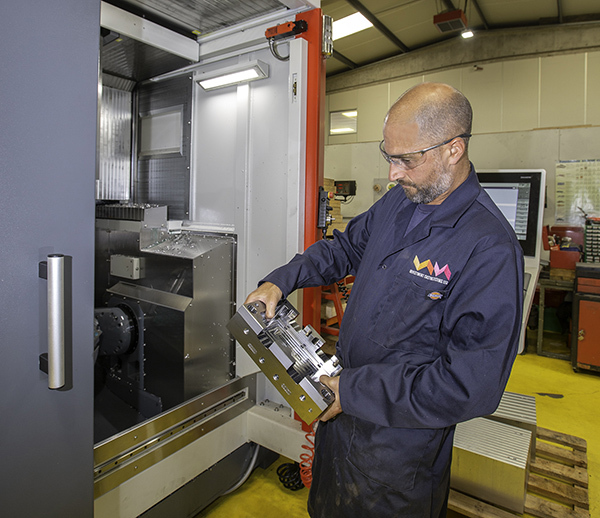 The company’s Leamington Spa facility houses more than 70 CNC machines capable of manufacturing small to medium prismatic parts, gears and rotating components/shafts using multi-axis gear-cutting and grinding equipment. 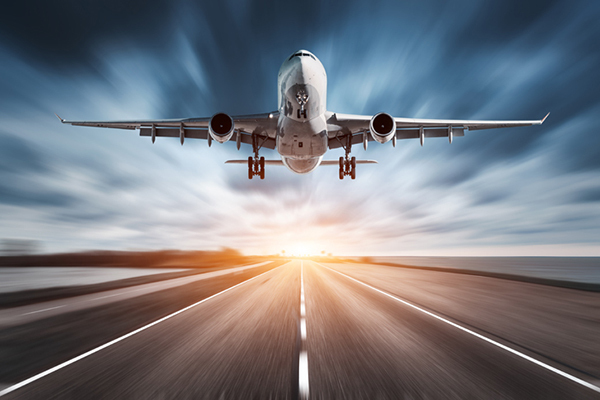 While best known for its partnerships with motorsport teams and luxury sports car manufacturers, Ricardo Performance Products also works with a number of aerospace customers in delivering machined and assembled components. 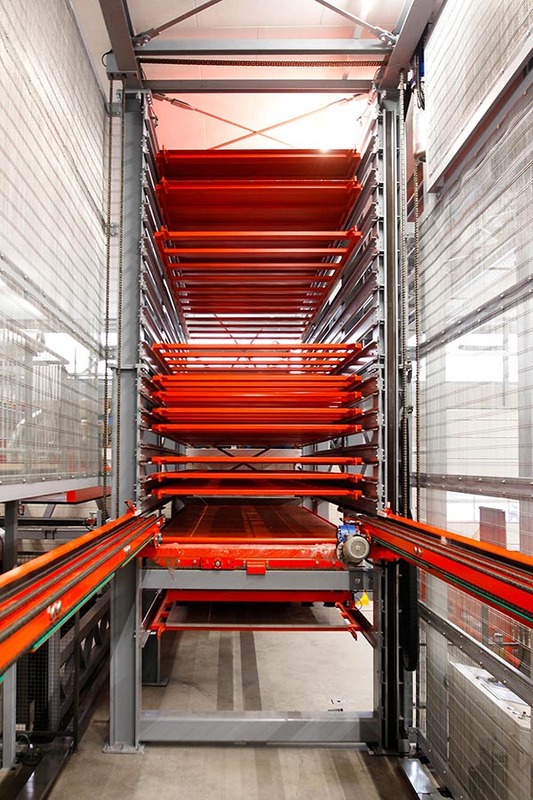 To serve growing demand from manufacturers for automation in sheet metalworking, Swiss laser cutting machine and press brake manufacturer Bystronic is acquiring a 70% share of Antil SpA of Milan. 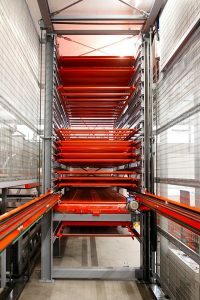 The majority shareholding will enable Bystronic to expand its existing range of automation technologies to include machine loading and unloading, robot-assisted bending, material storage, and allied services. Antil was established in 1989 and currently employs 110 staff, who will be retained under the new agreement. In 2017, Antil achieved a turnover of around €18m. Investment Casting Systems, which provides a mix of toolmaking and injection moulding services to customers, has seen turnover increase by 51% over the past three years, with forecast growth of 40% to year ending 2019. This growth, combined with planned future expansion that will double existing floor space, has created a need for even greater manufacturing efficiency. 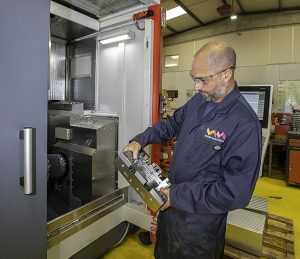 As part of this efficiency drive, the company has purchased its first five-axis machining centre, a UMC-5X from XYZ Machine Tools. The move to simultaneous five-axis machining immediately brought the benefit that Investment Casting Systems was seeking: increased efficiency. The very first job that went on the XYZ UMC-5X was a complex bolster for an injection mould tool that required machining on all six faces. Using existing three-axis machines would have required six set-ups, but this was reduced to two on the XYZ UMC-5X. The result was a saving of 60% in manufacturing time, the elimination of any potential inconsistencies from multiple set-ups and, by making use of a fixture plate, all faces were machined from the same datum point. Nicolás Correa recently participated in the latest edition of the BIEMH exhibition in Spain, showing its Correa Fox model with UAD milling head and a Norma model with rotary table. During the event, Nicolás Correa took part in the 13th National Awards for Innovation in Digital and Advanced Manufacturing Technologies, entering the category of ‘Machine Tool, components, accessories and tools innovation’ with its UDX milling head. The UDX is a mechanical transmission milling head with rotation every 0.02° thanks to the double Hirth coupling system (patented worldwide). UDX heads are able to perform 10,000 rpm, and were featured at the show on the Fox 50 model. Consisting of two 45° bodies, the UDX is designed and built to withstand heavy-duty cutting conditions, as well as semi-finishing and finishing work with precision and speed, says the company. The Fox 50 also includes a 60-station automatic tool changer and a Heidenhain TNC 640 control. Furthermore, Correa says that its total symmetrical design improves the geometry of the machine, which remains more stable when faced with temperature changes. 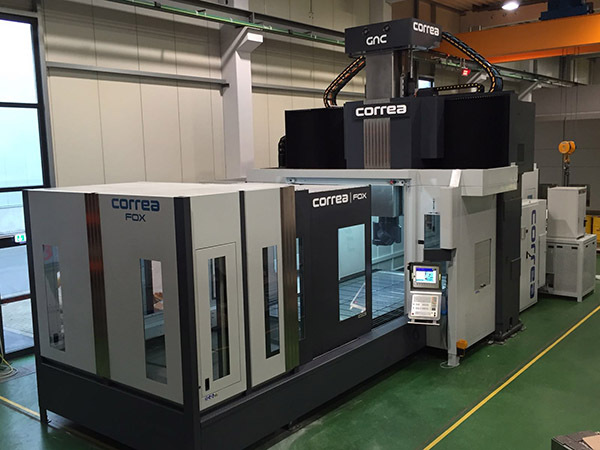 The Correa Norma is a flexible machine suitable for roughing and finishing operations. 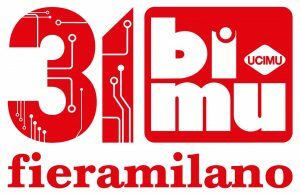 The model exhibited at BIEMH was a Norma 25 with integrated rotary table. Also presented was the Correa Delfos 4.0 system, which allows monitoring based on the cloud, automatically recording and analysing machine data to improve efficiency and the production process. According to AFM Advanced Manufacturing Technology, the machine tool sector has recently achieved a record annual turnover in Spain, at €1690m.